Mohamed V International Airport is located 30 km in the SouthEast of Casablanca in Nouacer town, and linked to Casablanca by the double highway (called A7 but limited to 100 km / h). It is the largest and most important airport in Morocco. With more than 6.2 million passengers passing through it every year, Mohammed V Airport is ranked in the 4th place in Africa after Johannesburg Airport, and Cairo Airport and the Cape Town Airport. Terminal 1: A capacity of 10 million passengers with a total area of 80 000 m². Terminal 2: A capacity of 6 million passengers with a total area of 66,000 m². Terminal 3: Up to 400 000 passengers with a total area of 4,000 m². Freight Terminal 1: A total area of 11,200 m² and a capacity of 50 000 t / year. Freight Terminal 2: A total area of 20,000 m² and a capacity of 100 000 t / year. Several restaurants and cafeterias are present in the different halls of Terminal 2 of the Mohammed V International Airport in Casablanca. For passenger safety, Casablanca International Airport has a police station, daily open and accessible to all travelers in the first level of the terminal. Three banks are at the Arrivals and Departures level, which offer the possibility to change money round the clock. Two parking lots are available for short and long term: One offering 1600 places, and the other 880 places (2500 total in places). Mohammed V International Airport offers to travelers a first aid service present at the terminal 0. The terminal post office is on the ground floor in the Departures area. Mohammed V International Airport in Casablanca has now two hotels. The Atlas Hotel is a 3 star hotel, and a hotel in the middle of the transit area of Terminal 2 that offers rooms for shorter periods only for travelers in transit. 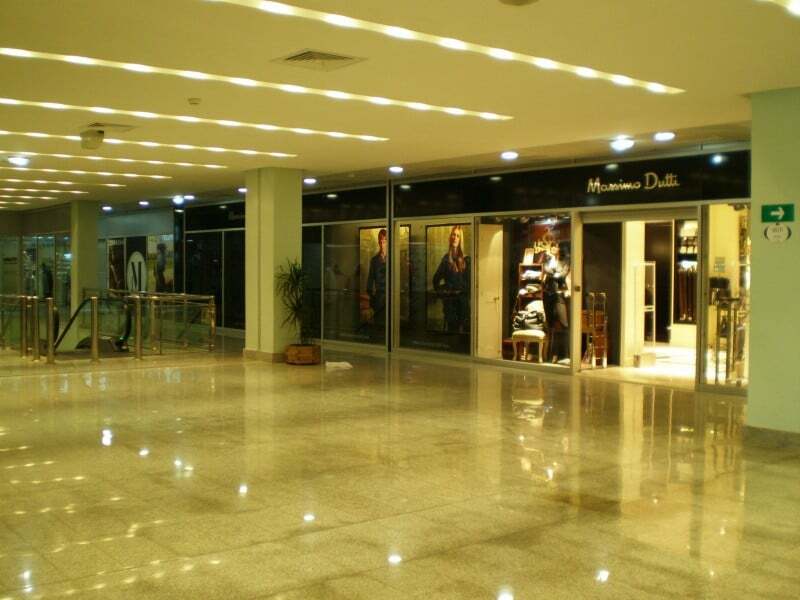 Four lifts are available at Casablanca Airport: Two elevators are present on the Departures level, and two on the Arrivals level. With regards to disabled people, they can also be transported in a wheelchair between the airplane and Arrivals / Departures levels. 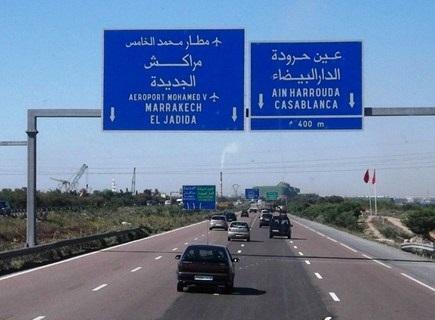 By car: Mohammed V International Airport can be reached by the highway to Settat city(speed limit 100 km / h). Rabat follows the highway to Casablanca then highway Casa-Berchid via Bouskoura. Mohammed V Airport is also accessible by secondary roads that connect Casablanca to Nouacer. You can also rent a car in Casablanca, and ask to be directly delivered to the airport. By train: The station is located in the first floor of the terminal in the airport’s arrivals area 1. Trains leave from Mohammed V Airport every hour between 6.00 and 23.00 to Casablanca’s downtown and port. Trains coming from Casablanca leave every hour between 6.30 and 21:30. The journey takes about 45 minutes and costs 50 dirhams for the 1st class seats, and 35 dirhams for the 2nd class seats. By bus: CTM bus company offers throughout the day transportation services from Casablanca center to the airport. The trip takes one hour on average. By taxi: The taxi station is located in the Level 0 of the Arrivals terminal. The journey to the center of Casablanca takes 45 minutes and costs 250 dirhams.